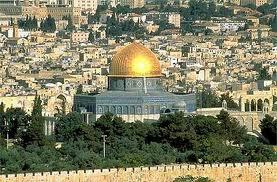 In the year 586 B.C., Jerusalem was a tiny city-state, all that was left of David’s kingdom. It was a part of the Babylonian Empire. But in that year, Jerusalem rebelled, struck out for freedom. It didn’t last long. The army of Jerusalem was no match for the empire of Babylon. King Zedekiah escaped as far as Jericho, but there he was captured and he was sent as a prisoner to King Nebuchadnezzar of Babylon. His eyes were put out, his sons were killed, and he himself died soon afterwards. The leading citizens of Jerusalem were all either killed or carried off to Babylon as captives. For fifty years they lived as exiles in a foreign country. John Hersey once wrote a book (White Lotus) imagining the defeat of this country by China and the life of Americans as slaves of the Chinese. Can you picture that at all? Can you imagine coming to terms with defeat and slavery? The Jews in Babylon had to come to terms with the situation and they did it in different ways. Some simply assimilated. “Well, here we are; let’s make the best of it.” They learned the language; they learned the religion; they settled down and fitted in and they did very well for themselves. Others held on to their identity: in fact, they acquired an identity. Keeping the sabbath, practicing circumcision, keeping the kosher laws, they saw themselves clearly as Jews – really for the first time. You don’t know really know what’s different about being American until you can see it in contrast – til you travel to Europe or Asia or Africa – or until you lose a war and become subject to another nation. So the Jews learned who they were: now they knew they were Jews and they knew they were in exile. Babylon could never be home. For fifty years they were exiles and then Babylon had its turn and Persia defeated them. In modern terms, Iran defeated Iraq. This has been going on for quite a while. Iran defeated Iraq. Persia defeated Babylon. And so the Jews were free to go home. Now the passage we read today from the prophet Isaiah seems to come from just this period, just the time when Babylon was on the verge of defeat and the Jews were on the verge of freedom. Isaiah could see it coming and what he describes in this morning’s passage is the joy of the journey home Can you imagine the joy of going home after fifty years in exile? Could you even remember what home was like? My brother went home a few years ago for the first time since he was fifteen. He and I grew up in a little town in upstate New York, out in the western part of the state – snow country. We moved away when we were in our teens and now we’re both retired. So it’s been a while. And he was just astounded by the difference between his memory, his mental image and the reality. The house we lived in wasn’t that big after all and the church he remembered was also a lot bigger than the real thing. The mental image again and again was bigger and better than the reality. Now, no one goes across the desert between Babylon and Jerusalem, between Iraq and Israel; the best part of it is a trackless waste. You go around: you go north up the valleys of the Tigris and Euphrates and then down the Mediterranean coast. But when you’re walking on air, you can imagine going straight across and the desert becoming a fertile plain. Picture it. Picture it. And then try to imagine people today in that situation. Who would it be, I wonder? What about Cubans exiled in Florida? Chinese refugees from Tianamen Square. The “Lost Boys of the Sudan.” There are groups today who have been in exile forty years and more many of them and some of them have made themselves comfortable, made themselves Americans. But some of them haven’t: they’ve held on to the old customs, held onto their language, dreamed always about the day they can go home. Someday we won’t be strangers and exiles anymore; someday we’ll be able to speak our own language and everyone will understand; someday we’ll be able to live without the tension between who we have to be and who we really are. Someday we can be ourselves again. Someday we’ll go home. But what about you and me; what about us? What does all this say to us? Do you feel like an exile around here, a stranger in a strange land? Seems like a silly question, but try it this way: is your life just exactly the way you want it to be, the way you’ve always hoped it would be: no problems, no tensions, everything smooth and easy? Well, right this minute: is this church exactly the way you’ve always wanted your church to be? So why are there empty pews even today? Why have so few pledges of support been returned? Do you go home week by week totally satisfied, no gap at all between your hopes and expectations and the reality? Well, tell me you do and I’ll be delighted, but I don’t. Oh, I’d rather be here right now than anywhere else I know, but it’s not the kingdom. They don’t always sing hymns I know; they don’t always have my favorite cookies at the coffee hour; the sermon is sometimes over my head. It’s not the kingdom. And this afternoon when I get home and the Christmas cards aren’t all mailed out and my wife and I have different ideas about watching the football game, and tomorrow, when I look at my desk and it’s as littered as ever and the phone rings when I’m trying to think and there are meetings I’m not prepared for and don’t much want to go to – – – Am I really at home or am I in exile? How do I get from here to where I want to be? There’s a letter written almost 2000 years ago to a group of early Christians called the Epistle to the Hebrews that speaks of us all as “strangers and exiles on earth.” In fact, there’s more than one New Testament passage that uses that language. We are strangers and pilgrims here. Our true home is elsewhere. Well, that’s true, but we’re also a lot like the Jews in Babylon. A lot of us, like a lot of them, manage to settle down and fit in. We learn the language and practice the local religion and we pretend we’re really at home. And it’s darn hard not to. This time of year especially, we’re inundated and suffocated in the local religion, the worship of the great god happiness. Buy a tree, throw a party, spend on stuff no one needs, and you will be like everyone else and you will be happy. Well, you will be like everyone else. That’s a fact. But is that really happiness? Can you really buy it at Wal-Mart and be content? The canned Christmas carols on the department store system can drown it out for a while, but I think there’s still an ache in the heart to come home at last, to be where we really belong. And what Isaiah tell us is simply this: when the time comes, it’s going to be great: even the journey home will be joy all the way. But the journey is still ahead. Isaiah reminds us that we’re not home yet. But the time is coming, it’s coming, and God will open the way and it’s going to be joy and peace such as you’ve never known. Well, the sad fact is that the day did come for those exiles and those who did go back were able at last to be themselves. But it wasn’t joy all the way, and it wasn’t an end of tensions and problems. It was still the real world. But they did come home and Judaism became a world religion and to that city of theirs came a savior who changed the whole world forever. So the story isn’t over, the journey continues, but the glimpses we’ve had make it look as if Isaiah had it right. The whole world is being transformed and God does act to bring God’s people home. The tragedy is that when the time came – when Babylon was defeated and the gates were open and freedom came – there were many who were so content in exile they no longer ached for home, no longer cared about it. They’d made a home for themselves in Babylon and they stayed. And their descendants may still be there for all anyone knows. But there’s no way to tell. They just disappeared from the face of history without a trace. They made no difference. I think that’s the message behind today’s message. There’s a promise to people in exile, people not content with this world as it is. There’s a promise: you can go home. God’s calling you home. God’s going to open the way. That’s a promise. And God keeps the promises God makes. But that promise, you see, is only attractive to those who know where they are, who know they haven’t arrived, who know this isn’t yet the kingdom. For them – and only for them there IS a promise: God will make a difference – and so will they.